Long-distance relationships are much more common than ever in the young generations. More than half of the people I know between 17-25 are in one. It is true that with the help of technology, especially Skype, our distance seems to be shortened; after all, your (true) love is only one dial away. However, the longer you are used to using Skype as your communication means, the easier you are to discover that Skype might be a poison in a candy wrapping. I’m no stranger to long-distance relationship and have already developed a love-hate relationship with this Swedish product in the past 2 years. 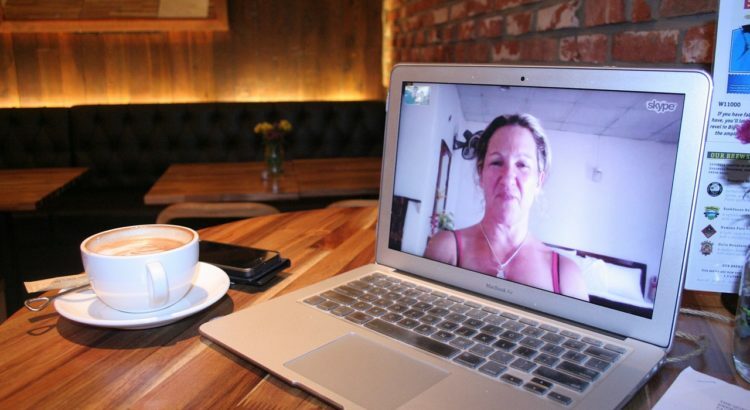 These are five reasons why Skype is killing long-distance relationships. Skype is perfect for talking, you talk, and talk, and talk but you’re not communicating. You run out of things to say, but you still don’t want to hang up, so you keep on talking and things start to go downhill. After a while, you discover that it seems like you start getting annoyed by the long and uneventful chit-chat that is eating your time and real life away. Somehow awkward silence moments are particularly prominent when you Skype: you look at a fuzzy screen, with 5 seconds of delay,thinking “Gosh, we run out of things to say to the person I love the most, this is bad.” But in fact, it’s just normal. You can’t be THAT interesting, mind you. Skype chatting is worse. You type something and the interpretation is completely up to the receiving end. It can be understood and misinterpreted in so many different ways that you have no clue where ideas come from. Or you start realising that your partner is super-creative! Somehow, you say things you don’t want or you don’t mean. And it’s too late because a hug or a tickle is not available in the Skype package. Tough luck. Oh, where do I start? It just gets frustrating. You spend more time saying “Can you hear me? Yea I can hear you but I don’t think you can, or can you?” By the 25th time, you finally get connected, it is time to run for a meeting or class, and you feel like Skype ruins your day, hence, your life. It is not perfect. If Skype can replace your relationship or make it as good as real, then you should start worrying. Skype is just a means to keep as much conversation going as possible. But the most important thing is about what you have built prior to that. If you are really not a Skype person, try emails, because they give you the time to think about what you want to convey, polish the sentences and deliver the message as close to as what you intend. Most importantly, I think, is to have an even greater reserve of love and forgiveness. You can easily say the wrong thing, get the wrong signal or even type with a wrong “vibe”, so, be forgiving and loving. I sincerely believe that you need much more tolerance in a relationship with Skype, than in one without. Last tip: always add a smiley; it already melts half of the heart away.